MOU signed with CSIR, Palampur to promote eco-friendly and pollution free environment. MOU signed with IIT Bombay to promote latest IT knowledge amongst rural population by training students and other youths of the region. MOU signed with Global Crop Diversity Trust, Bonn, Germany to support the conservation and rural development programmes to ensure food security in developing countries. The University is active member of Association of Indian Universities, Delhi. The University is recognized by the UGC. 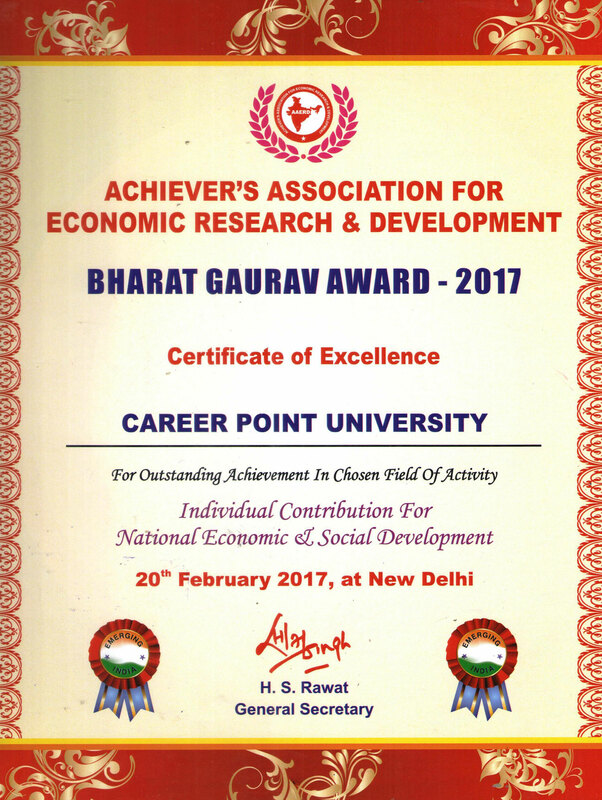 "Bharat Gaurav Award 2017" for outstanding achievement in education and research for National Economic and Social Development by the Economic Growth Foundation, Global Achievers Association, Global Society for Health and Education Growth. "Himachal Rattan Award" from the "All Indian Conference of Intellectuals" for the recognition of the distinguished services rendered to the society at large. The statutory officer positions are filled and bodies like governing body, board of management, academic council, board of studies etc are in active function. The academic bodies –academic council and board of studies revise/improve the curricula/courses of the programs as per the contemporary needs of the market.